The two organisations are pledging to work closer together over the coming months to support businesses who are striving to meet the key business challenges of 2019, including the uncertainty around the UK’s imminent departure from the European Union. 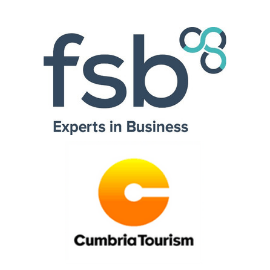 The working partnership between Cumbria Tourism and the FSB Lancashire & Cumbria Area aims to help further strengthen a co-ordinated approach to business support, events and topical issues affecting businesses on a day-to-day level. That includes giving Cumbria Tourism member businesses full access to the FSB’s Brexit Guide, to help them better understand the different scenarios they may encounter and to help plan their business continuity during – and after – the withdrawal process. A new reciprocal arrangement also means Cumbria Tourism members can benefit from a discount on FSB membership, and vice versa. Gill Haigh says, “Small businesses are the lifeblood of Cumbria’s £2.9billion tourism sector and it is vital that we build meaningful relationships with similar organisations to ourselves who understand the commitment, innovation and sheer hard work it takes for small businesses to succeed. Suzanne Edgley, Area Leader for Cumbria at FSB says, “A co-ordinated approach to assisting our small businesses across Cumbria makes perfect sense and we are delighted to be working with Cumbria Tourism to support all our members to access the very best support they can to protect and boost their businesses.